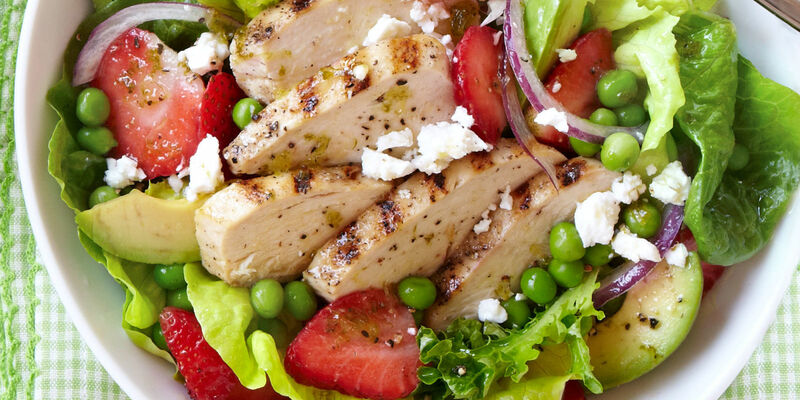 Place romaine in a large bowl and top with chicken, strawberries, feta, peas, avocado, and red onion. Season with salt and pepper and drizzle with dressing. Toss and serve immediately.